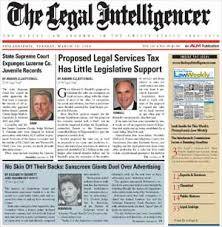 When I chatted with The Legal Intelligencer’s Lizzy McLellan about Small Firms Look to Attract Middle Class With Flat Rates (TLI, May 6, 2016), she asked me about a law firms’ initiative that touted (in a press release) an original and unique attempt to target the middle class through the firm’s website. Unfortunately, I may have burst her (and that firms’) bubble when I said there was little unique about the website offering and less original about using the Internet to target this massive potential audience. But it did get us talking about how much of a role the Internet has played in providing legal services options to middle-income individuals and families when it comes to estate planning purposes and related consumer-driven practice areas. I also noted that services from entities such as LegalZoom, Rocket Lawyer and Avvo often were competing with them, although in many instances, they are funneling work back to the same lawyers through various marketing initiatives. For law firms, success on the web is driven by the power and credibility of their websites, paired with a combination of organic search results and paid online advertising–often a combination of both. But you can expect to spend on quality Search Engine Optimization (SEO) to win the battle of reaching your target audience. Make no mistake, I sit with law firms that are only targeting high wealth or possibly only targeting low wealth (more about quantity in numbers than quality of a matter). Tagged: "Lizzy McLellan" and "The Legal Intelligencer"
LP Magazine – Do Lawyers Rule the Internet? 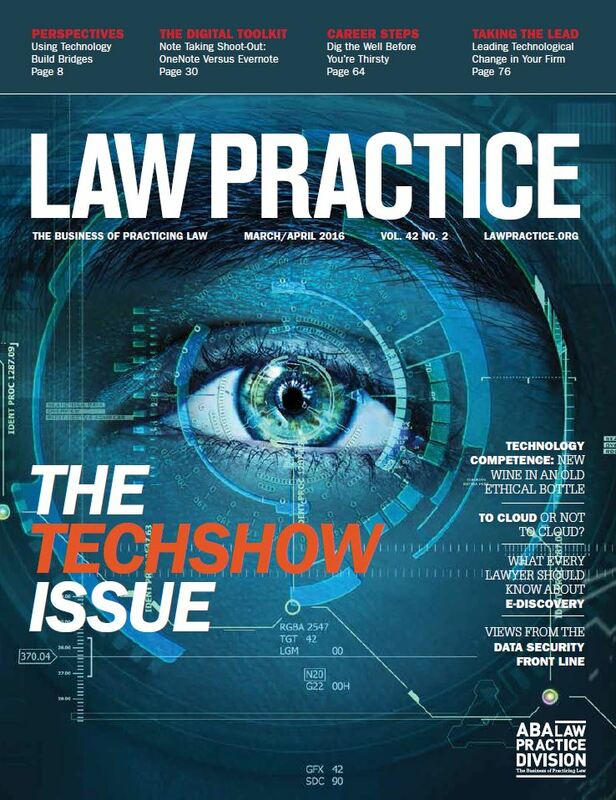 With the 30th anniversary of ABA TECHSHOW on the horizon (and this is the TECHSHOW issue of the magazine), I examine the role that technology has played on the marketing and delivery of legal services. Google AdWord sales in 2015 approached $70 billion–and with 78 of the 100 most expensive keywords belonging to the legal profession, you realize just the impact the Internet has had on the practice of law, and vice-versa. Throw in the changing landscape of social media, including changes LinkedIn made to accommodate attorneys (and the rules of professional conduct), and you can judge for yourself–do we indeed rule the web? Tagged: "ABA Law Practice Magazine" and "Internet Marketing"
July has been a busy month for me in chatting with legal reporters about the law firm world online in 2015, starting with Gina Passarella’s piece for The Legal Intelligencer on Morgan Lewis’ controversial rebrand. Little did she know when our conversation started that I was involved in Morgan Lewis’ first website, some 18 years ago or so and in the firms’ shift from mlb.com to morganlewis.com shortly thereafter. A few weeks later, her American Lawyer Media colleague Lizzy McLellan followed up with Online Rebranding ‘Not Just for the Big Guys’ in which we discussed rebranding issues impacting midsize firms–where there is not likely a large marketing team with a wealth of resources, yet still needing to deliver a unified message. 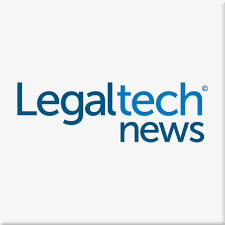 Tagged: "American Lawyer Media", "Law Firm Branding", "The Daily Journal" and "The Legal Intelligencer"
In today’s edition of ALM’s The Legal Intelligencer, reporter Gina Passarella writes on Major Changes Could Be in Store for Law Firm Websites. 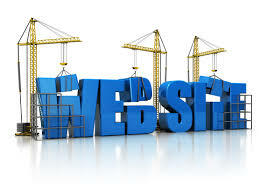 She spoke to me about the state of law firm websites in general and the new K&L Gates Hub in particular. K&L Gates describes their new “hub” as “a digital destination for timely insight on critical issues at the intersection of business and law. 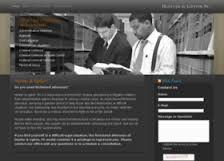 Whether you are in a legal department or are a C-suite executive, we hope you will find our current insight on industry and legal trends to be a valuable resource.” It is not designed to replace the regular law firm website, but provide extensive content on a few topics for a very specific audience. Websites have come a long, long way since the first one I worked on–for Morgan Lewis–in 1996. I found this screen capture online from 2000, back when mlb.com belonged to the law firm and not to Major League Baseball. In 2000, I was proud to have worked on one of the first unique components on a large law firm website–HSRScan–which was a searchable database of letters interpreting the Hart-Scott-Rodino Antitrust Improvements Act of 1976 (the HSR Act) and its regulations. At the time, moving beyond attorney bios, news, practice area descriptions and maybe some dynamic recruiting content was quite unique. I loved that HSRScan was a database of content that literally did not exist anywhere else. Tagged: "Gina Passarella", "K&L Gates", "Law Firm Websites", "Morgan Lewis" and "The Legal Intelligencer"
I’ve seen a lot of fun and strange law firm web site ethics issues come up since the mid-90s, but it is refreshing to see that there are still new takes on the concept of “deceptive and misleading” lawyer advertising online in 2014. 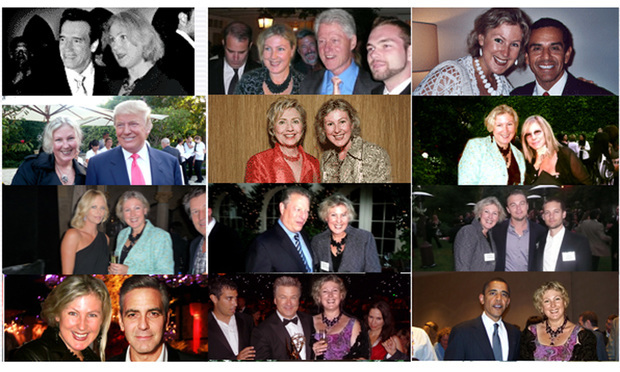 A State Bar Court judge in Sacramento, California has recommended a six month suspension for a Los Angeles attorney who put Photoshop to use in manipulating a photo gallery on her website filled with fake pictures of her with various politicians, celebrities and star athletes. The court found that this photo gallery amounted to deceptive advertising. Read the highly entertaining opinion here. Among the very first law firm websites I ever worked on was www.mlb.com. My six year old son accesses the site every morning on his iPad before heading to school or camp to check scores and watch video highlights of last nights’ major league baseball action. Of course, that does not sound like a law firm website, does it? No, it is Major League Baseball (MLB). But in the late 90s, www.mlb.com took you to the website of one of the nation’s largest law firms–Morgan, Lewis & Bockius. Morgan Lewis’ IT people were certainly on their game when they beat baseball to the punch and acquired the domain name that certainly made sense for them–MLB. When working with Morgan Lewis on their initial website and subsequent iterations, we always chuckled at the enormous web traffic that the site garnered. Of course, the bulk of it was people looking for baseball. And as you might imagine, they were none too pleased when they ended up with an antitrust practice area description instead of All-Star game voting results. As a matter of fact, many website visitors e-mailed various unflattering comments regarding what they believed was an inappropriate use of the MLB domain name. 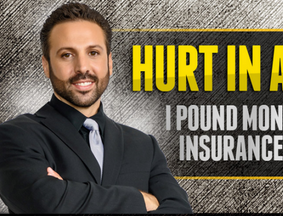 Luckily for Major League Baseball, they were a client of the law firm. And eventually Morgan Lewis provided their client with that prized possession, so they could join the NHL, NBA and NFL in owning the proper online moniker. 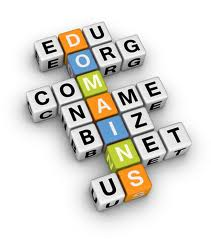 Tagged: "domain names", "Morgan Lewis" and "Web Marketing Today"
Know your audience. That is my response to the many “water cooler” conversations about what might be the most successful lawyer viral video to date. I’d love to know–and will likely ultimately ask him–what expectations Jamie Casino had when deciding to buy expensive and lengthy local TV ad time on the Super Bowl; and, more importantly, was it a successful new business generator? But for a personal injury practice looking to stand out in a crowded field to an everyday Joe audience–BINGO. In this month’s Web Marketing Today article, I discuss the wild, raging online viral video success of the sleekly-produced, Hollywood movie quality, two minute ad for a personal injury lawyer. It is like nothing you’ve ever seen before. When all is said and done, it won’t matter that it originally ran for two minutes on the Fox television affiliate in Savannah, Georgia during the Super Bowl. The vast majority of the international viewing audience will see it on YouTube or embedded on another site. The majority of my clients are midsize and large corporate law firms. None of this would be remotely interesting to them. Actually, they’d generally find it somewhat horrifying. Our marketing and business development strategies are as far away from a consumer-oriented TV ad than placing a huge billboard on I-95. But when I do get to work on marketing for a plaintiffs’ practice or other consumer-driven area of law, the concepts of branding and lead generation are totally different–and can be a lot of fun. It seems like I’ve been writing and speaking on Hunter v. Virginia State Bar for years! And that is because I have. But, alas, now it has come to a close with the United States Supreme Court once again deciding not to hear a case regarding attorney advertising regulation. One of these days, though! With “cert. 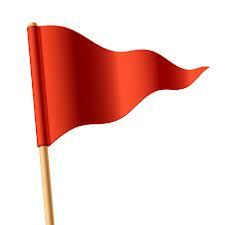 denied” just last month, I thought it was a good time to review the case in my monthly Web Marketing Today piece. I found the case fascinating on a number of fronts. There were components in which I found myself agreeing in part with both sides. While I did not always agree with Horace Hunter, I found his no-holds-barred desire to stand on principle–despite enormous time and cost–valiant. He believed that he had a right to free speech, and he also felt that the Bar was picking on the little guy. As I note in the piece, most attorneys and law firms would have simply capitulated to the original correspondence from the state bar. Not here. Hunter never backed down and openly spoke about the matter through years of litigation. You can argue that both sides won something. On the flip side, I did agree with the Virginia Bar in viewing the blog through the lens of advertising regulations, simply because I did not think this particular state’s rules really hampered Hunter’s blog and content. In some states, I might not feel as strongly toward that point of view. But the reality is that state bars are simply not equipped to start parsing the gray areas that exist in today’s world of Internet communication–changing rapidly. Way too rapidly for the Rules of Professional Conduct to keep pace with the nuances. Recently, a California State Bar committee discussed a controversial proposal that would put a red warning label on attorney profiles for those facing disciplinary charges. This would take the concept of a website disclaimer to new heights. Only in California. Actually, I’d say only in Florida. But, indeed, this comes out of the left coast. The proposal came from State Bar prosecutor Jayne Kim. It prompted an outcry from defense attorneys that felt accusations that had not been fully litigated and proven in court would lead to a serious hit on a law firms’ business. The state delayed voting on the proposal until after a 60-day public comment period. Kim had argued that it was unnecessary, claiming it was simply an extension of a 2011 policy that required consumer alerts on profiles of attorneys formally charged with misappropriation of client funds or improper loan modification activities. Tagged: "California Bar Association", "legal ethics" and "Online Marketing"